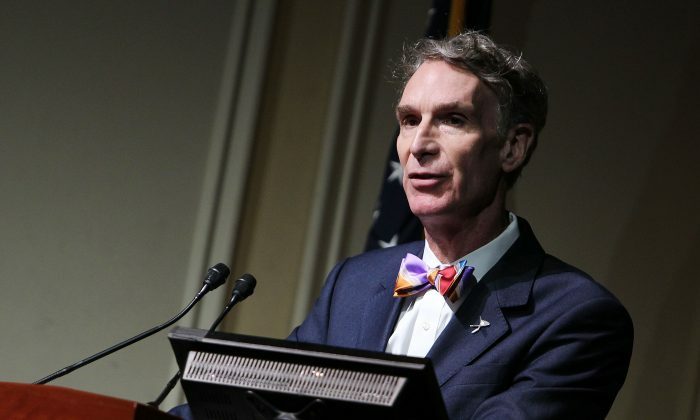 Bill Nye, the educator of “Science Guy” fame, wrote that NASCAR stock cars should be converted to have electric motors—to the chagrin of many of the organization’s fans. “We could convert all of our racecars to electricity—right now—and show the public exactly what electrons can do,” Nye writes in a blog post. “Just think what an electric race would be like. It would be faster, and quiet,” Nye opines. But a number of people said that Nye should stick to what he knows best. Rick Moran with PJ Media, a conservative news website, wrote that electric cars wouldn’t be able to compete with a stock car equipped with a standard combustion engine. “The Tesla would be lapped by the pace car before the flag was dropped. What do you suppose the acceleration curve of a Tesla would be compared to a NASCAR vehicle?” he asked. On Twitter and elsewhere, more people sounded off on Nye’s idea. @aeonmag @BillNye Gas-powered vehicles have character, require strong driver skill—EVs fail in both ways making them a tough sell in racing. I can’t believe there are #NASCAR fans who actually think @BillNye‘s idea for electric engines in NASCAR is a good idea. It would ruin it. Nye’s idea, however, might not be that far off, as NASCAR’s managing director of green innovation, Dr. Mike Lynch, said the organization is open to other types of cars. “Is that something that we have on our advanced concept radar screen? Is this something that we’re actively analyzing? Is this something we’re paying real professional attention to? The answer is absolutely yes,” he told Fortune magazine in 2013. NASCAR said its also trying to curb pollution caused by its races, as part of its NASCAR Green Initiative, according to the Huffington Post.